Book hotel rooms online with us at Dona Filipa Hotel at the lowest rate, guaranteed. 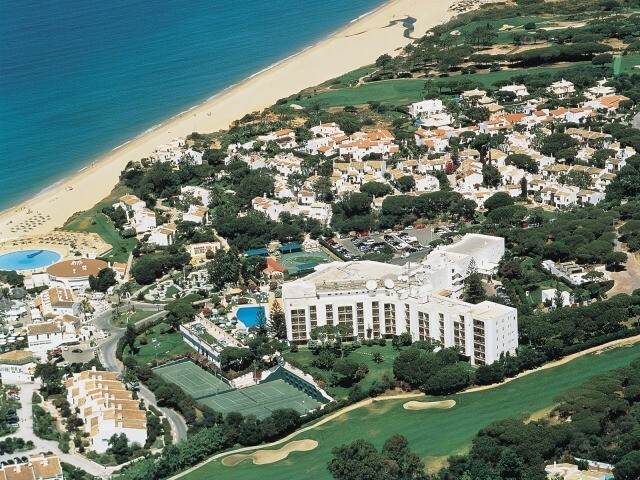 Get a holiday discount room rate at the 5 Star Dona Filipa Hotel & San Lorenzo Golf Resort situated overlooking the ocean in Vale do Lobo in the Algarve. There are 154 comfortable rooms including suites which cater for 2 persons and complimented by staff that value a personalised and excellent service. It is only 200 metres from the Vale do Lobo Beach Complex with its many restaurants, bars and shops. Dona Filipa Hotel in the Algarve ushers guests into a world of traditional Portuguese charm enhanced by all the luxuries of modern life. The air-conditioned stylish bedrooms and suites are decorated in warm and pleasing terracotta tones. There is the Estetica Health Spa for treatments and massages. The Primavera restaurant serves meals during the day or a romantic dinner under the stars, watching the sunset sparkle on the Atlantic Ocean. The Dom Duarte Grill for a fine-dinning dining experience. Younger guests are well cared for in the Kangaroo Club which is an area of 2.000 square metres devoted to their entertainment with appropriate meals and activities, for children between the ages of 3 to 12 years. Wi-Fi is available. The hotel has a range of sensibly priced Golf Packages for the its 18-hole championship San Lorenzo Golf Course.